D.C. 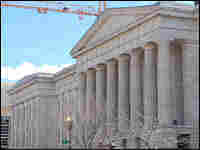 Museums Near End of Pricey Facelift The original Patent Office in the nation's capital is nearing the end of a $300 million renovation. This summer, the National Portrait Gallery and the American Art Museum will be reopened, and museum officials are hoping the building itself will be as big an attraction as the art inside. 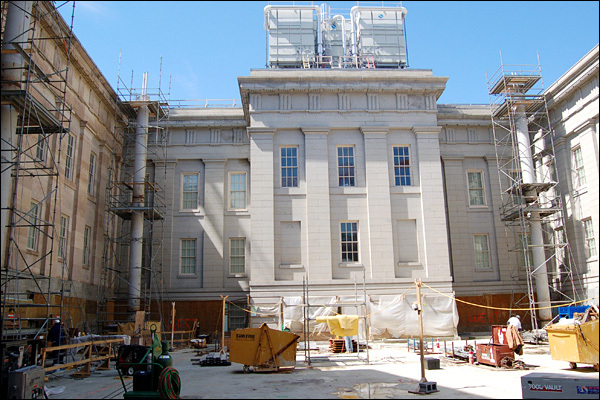 The original Patent Office in Washington, D.C., considered one of the country's best examples of Greek revival architecture, is nearing the end of a $300 million renovation. 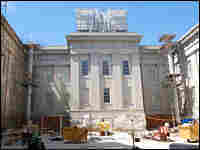 When the building reopens on July 1, the two Smithsonian museums it houses -- the National Portrait Gallery and the American Art Museum -- will be newly accessible to the public. The Patent Office building was a pivotal part of President Andrew Jackson's plan to turn Washington into a great world capital. Jackson enlisted Robert Mills, the original architect of the Washington Monument, to design three neo-Greek buildings (including the Patent Office) that would symbolize the spirit of the American people. Closed to the public for the last six years, the site's museums are only partially finished. When they open, just in time for Independence Day, collections that were previously in storage will be unveiled to the public. Museum officials hope the building itself will be part of the attraction as well. Perhaps the most audacious part of the Patent Office renovation is a plan to enclose this courtyard with a glass ceiling, expected to be completed in late 2007.